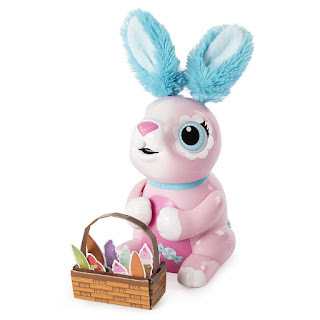 Head over to Amazon where you can score this Zoomer Hungry Bunnies 'Chewy' Rabbit for only $9.97 shipped (Retail $29.99)! Note that this toy will arrive after Christmas, but this would be cute to stash away for Easter baskets! This interactive robotic rabbit eats the included paper treats and poops the confetti paper out when they are done! It also plays games, sings and will giggle when tickled.